“Voice or no voice, the people can always be brought to the bidding of the leaders. That is easy. All you have to do is tell them they are being attacked and denounce the pacifists for lack of patriotism and exposing the country to danger. It works the same way in any country.” — Nazi propagandist Hermann Goering . It was 16 years ago this month, on March 19, 2003, that U.S. forces began a misguided and illegal “shock and awe” military assault on Iraq. The favorite mantras of today’s corporate-backed politicians are much like a virus that infects the public with false and harmful beliefs about what’s happening, what’s right, and what’s possible. 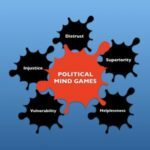 20 Dec 2018 – In my research as a psychologist, I’ve found that manipulative appeals from the 1% are often designed to target issues of vulnerability, injustice, distrust, superiority, and helplessness. Are we safe? Are we treated fairly? Who should we trust? Are we good enough? Can we control what happens to us? By offering disingenuous answers to these questions, self-serving one-percenters aim to shape ‘our’ understanding of what’s happening, what’s right, and what’s possible to ‘their’ own advantage. 23 Jul 2018 – The President is a big fan of waterboarding, and worse. Secretary of State Mike Pompeo has called torturers “patriots.” New CIA Director Gina Haspel oversaw torture at the agency’s infamous black sites. Chief of Staff John Kelly subjected Guantanamo detainees to brutal treatment. National Security Adviser John Bolton is notorious for dismissing international law. The list is incomplete, but it’s sufficient to make one thing clear: for the Trump White House, inhumanity awaits as soon as the right opportunity arises. 18 Jun 2018 – The 1% could use their influence to challenge bigotry. Too often they don’t. If we want to focus on the kind of differences that truly matter, we should turn our attention to the striking divergences between the documented policy preferences of the 1% compared to the rest of us. The APA took an important step last week. In key ways, the APA’s opposition to Gina Haspel’s nomination is important symbolically even if its immediate practical impact proves limited. 18 Apr 2018 – Multi-millionaires and billionaires comfortably ride the waves and add to their enormous wealth and power. The contrast is jarring to be sure, but it persists nonetheless because self-interested representatives of the 1% have become masters at using manipulative psychological appeals — I call them “mind games” — to defuse and misdirect our outrage. 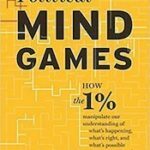 20 Mar 2018 – In my new book I explain the psychology behind the success of today’s plutocrats in marketing their false claims—and what we can do to counter them. Offering a research-based framework, I show how the 1% exploit five fundamental concerns that govern our daily lives. 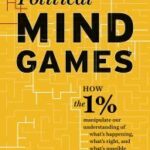 Political Mind Games was written with a clear purpose: to help inoculate the public against the 1%’s self-serving appeals. Home invaders, drug cartels, carjackers, knockout gamers, and rapers, and haters, and campus killers, airport killers, shopping mall killers” among the threats that only assault-style rifles and other guns can stop. The NRA and gun lobby aggressively push these psychologically-potent appeals because they know nothing sells guns like fear — including the fear of not having a gun. Beware Trump’s fearmongering, blind loyalists, and divide-and-conquer tactics. Regardless of the pipeline’s final disposition in the federal courts, Energy Transfer Partners and its cronies have unleashed a counterforce that may well exceed their comprehension and control. While digging for dollars they’ve awakened a movement that combines a long-overdue commitment to addressing the trampled rights of Native Americans with a reinvigorated call for climate justice and environmental action. Recent executive orders reveal the Trump White House as a ruthless predator set to prey upon the most vulnerable among us. In nature, potential prey instinctually use a wide range of strategies to ward off attacks—from camouflage to traveling in groups to alarm signals to communal defense based on strength in numbers—and they rarely succumb without a fight. Surely we must be prepared to do the same. A psychologist tries to defend the indefensible, and fails. When it comes to profiting off people’s hopes and fears, by far the most successful purveyors of lucrative lies and false promises are some of the denizens of this country’s palatial estates, corporate boardrooms, and corridors of political power. And unlike their small-time counterparts, they’re never on the run — despite the misery they leave in their wake. Enter Donald J. Trump, soon to be the 45th President of the United States. 17 Jun 2016 – Abolitionist and preacher Frederick Douglass once warned, “Power concedes nothing without a demand. It never has and it never will.” Feminist and civil rights activist Audre Lorde similarly advised, “The master’s tools will never dismantle the master’s house.” Their words are worth remembering as we now witness a coordinated campaign of intimidation, deception, and obfuscation targeting the American Psychological Association’s recent efforts to right its ship and institute meaningful ethical reforms in national security contexts. The Department of Defense is now seeking to undo the changes required by the policy and undermine the American Psychological Association’s determination that the work of psychologists in national security settings must be consistent with international human rights law. It’s now time to discard the carefully crafted fiction that these psychologists have a legitimate, ethical role to play in supporting the interrogation and detention operations there. Until they are removed, psychologists remain key actors in an environment that was aptly called “the gulag of our time” a decade ago, and where abuses still persist today. Making a Choice – American Psychological Association: Reform or Business as Usual? The real divide here is not between psychologists who are employed by the military and those who work in the civil sector. Nor is it between psychologists who are healthcare practitioners and those who work in non-clinical areas. 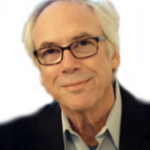 The divide that matters is the one between psychologists who recognize the urgent need for accountability and reform and those who instead insist that no wrongdoing took place and that business as usual should prevail. Last Friday [7 Aug] the APA overwhelmingly approved – by a vote of 157 to 1 – a Resolution that bans psychologists from involvement in national security interrogations and adopts the UN Convention Against Torture and the judgments of UN representatives and other international bodies in determining what constitutes torture and cruel, inhuman, or degrading treatment or punishment. In early July, a devastating independent report by a former federal prosecutor determined that more than a decade ago APA leaders — including the director of ethics — began working secretly with military representatives to craft deceptively permissive ethics policies for psychologists, which effectively enabled abusive interrogation of war-on-terror prisoners to continue. An investigation of APA collusion with the CIA is nearing completion. Although preliminary reports have now identified many of the fugitive facts, the APA continues to warn that extreme caution should be exercised until the Association has provided specific safety guidelines. Without adequate precautions, close contact has been linked to a variety of psychological symptoms, including denial, defensiveness, and despair. During a period of heightened scrutiny, APA webpages are vanishing. APA’s leaders have some difficult questions to answer. For starters, why has so much information been removed from the APA website at the very time Mr. Hoffman is being promised “full and unfettered access” for his investigation? Yet again the APA fails to honor its commitments. It is time for the APA to devote as much energy to getting psychologists out of Guantanamo as it has devoted to getting psychologists into the halls of power. Is Accountability and Reform within the APA on the Horizon? – The past decade has witnessed persistent claims that the American Psychological Association crafted its ethics policies in order to support the Bush Administration’s use of psychologists in abusive and torturous detention and interrogation operations. Following the release of the Senate report on the CIA’s “enhanced interrogation program,” we are drawn to another deceptive distinction: the difference between “torture tolerance” and what might be called “torture tolerance-lite. Torture, regardless of whether it relies on physical pain or psychological torment, is cruel, immoral, misguided, and illegal. The brutal treatment of detainees was not merely the isolated and abhorrent inspiration of two so-called rogue psychologists, James Mitchell and Bruce Jessen; indeed, from the start the Office of Legal Counsel “torture memos” were drafted with key roles for psychologists specifically in mind. What the American Psychological Association Knew – Other evidence suggests that the abhorrent actions of two highly paid CIA contractors were by no means the only instances in which the profession’s do-no-harm principles were tragically abandoned. 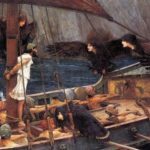 So while this week’s grim Senate report provides important answers to crucial questions, for the psychology profession there is much more yet to be illuminated. Racial Injustice Poses a Difficult yet Increasingly Urgent Challenge – As three white psychologists, we offer this brief essay with the awareness that our perspective is necessarily limited by our lived experience as members of the privileged racial class. Based on revelations in James Risen’s new book, ‘Pay Any Price: Greed, Power, and Endless War.’ The only matter of dispute is the extent to which the APA collaborated with and worked to support the program of torture and cruel, inhuman, and degrading treatment. Given that psychologists have been central figures in the abuse and torture of our country’s “war on terror” detainees, and that the American Psychological Association has worked to guarantee psychologists’ positioning in detention and interrogation roles, examining the APA’s involvement is an appropriate starting point for this crucial work. As we look to the future, we wonder whether the profound tragedy of Guantanamo might have been diminished if psychologists there had held fast to our profession’s do-no-harm principles and refused to countenance human rights abuses, and if psychology’s leadership had done the same. 10 Feb 2014 – The Coalition for an Ethical Psychology has issued a statement that raises significant questions and deep concerns about the American Psychological Association’s recent decision not to proceed with formal ethics charges against Guantanamo psychologist and APA member Dr. John Leso. The Coalition for an Ethical Psychology applauds the release yesterday [4 Nov 2013] of an important new report titled “Ethics Abandoned: Medical Professionalism and Detainee Abuse in the War on Terror,” funded by the Institute on Medicine as a Profession (IMAP) and the Open Society Foundations. “Brutal killers should not be glorified. This hunger strike is dangerous, disruptive and needs to end.” That’s how Jeffrey Beard, head of California’s Department of Corrections and Rehabilitation, concluded his disturbingly deceptive August 6th op-ed in the Los Angeles Times. More consequential will be the APA leadership’s latest victory in its long-running campaign: the stubborn obstruction of all efforts to meaningfully address the central role psychologists played in U.S. government torture and abuse of national security detainees. Many of these individuals have suffered not only from indefinite detention, they have also been the victims of horrific physical and psychological abuse often rising to the level of torture, at the hands of individuals who have never been held accountable. As psychologists distressed by the involvement of our own profession in detainee abuse, we are especially troubled by the failure of the American Psychological Association (APA) to sanction one of its members, Dr. John Leso, a psychologist and Army officer who served at Guantánamo from June 2002 to January 2003. Six long years ago one of us (Trudy Bond) filed a complaint against Dr. Leso with the APA’s Ethics Committee. The betrayal of psychological ethics will not make the world safer. In a report released today [4 Jun 2012] by the Coalition for an Ethical Psychology, two psychologists call upon the US Army to retract or publicly correct a recent research report that claims the Army’s $140 million Comprehensive Soldier Fitness (CSF) resilience program “works.” The psychologists Roy Eidelson and Stephen Soldz argue that the study design is flawed and that the results do not justify the researchers’ favorable conclusions. There is incontrovertible evidence that in the years following the 9/11 attacks, psychologists served as planners, consultants, researchers and overseers to the abusive and torturous interrogations of prisoners in the US “global war on terror.” A fundamental question is whether coercion, deception, manipulation and humiliation should be part of a psychologist’s ethical work in support of his or her country. Why is the world’s largest organization of psychologists so aggressively promoting a new, massive, and untested military program? The APA’s enthusiasm for mandatory “resilience training” for all U.S. soldiers is troubling on many counts.